1. 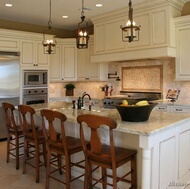 Find pictures of kitchens. Browse through beautiful pictures of dream kitchens sorted by style and color, and discover new remodeling ideas in the kitchen photo gallery. 2. Get design tips. Find fresh ideas for cabinets, countertops, appliances, flooring, lighting, layouts, kitchen islands, doors, windows, and color schemes. 3. Plan ahead. 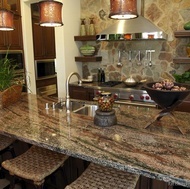 Planning a new kitchen is like arranging a wedding. With so many decisions to make, gathering kitchen ideas in advance can make your remodeling experience much more enjoyable. 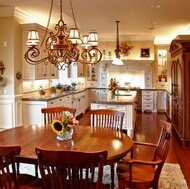 Start by finding your favorite designs in our gallery of cabinet styles. 4. Visit local showrooms. Nothing beats the real thing. 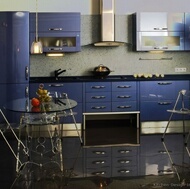 Talking to an expert designer in person and seeing kitchen displays you can touch really helps. 5. Turn your dream kitchen into reality. Research appropriate budgeting, discover great shopping tips, and consider remodeling costs in your area. Learn how to find the right designers and builders to make your vision happen. 7. Enjoy the adventure: Grab a cup of hot cocoa, put on some slippers, and browse this online showroom of kitchen design ideas and photos.